EZ Cracker is the new and simple way to crack eggs. It even separates eggs with no mess. Don’t like peeling hard boilded eggs. EZ Cracker makes that simple too. 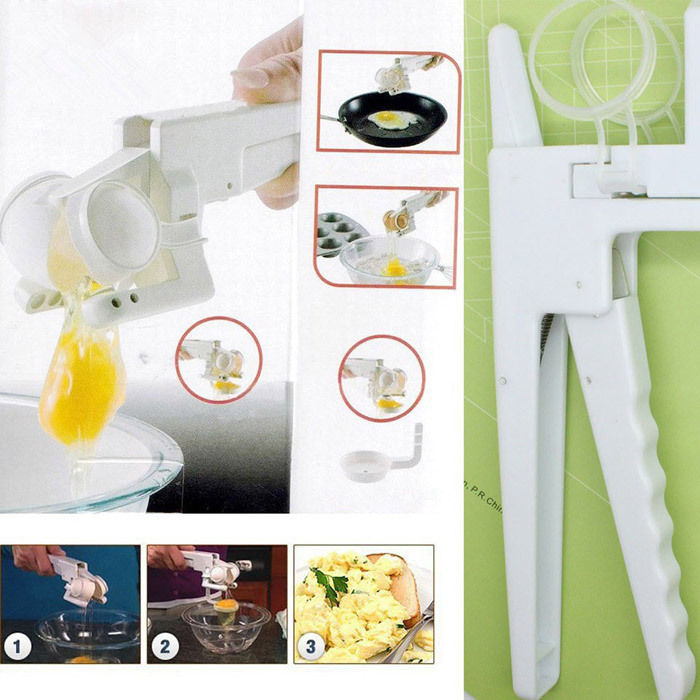 Just place the egg into the EZ Cracker and squeeze the handle for perfectly cracked eggs, with no need to worry about getting pieces of shell in your food. 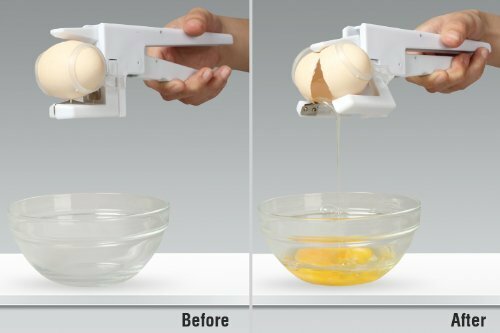 If you need to separate the yolk and whites, just add the separator attachment before cracking your eggs and it does the work for you.